The Russian Navy is starting to equip its ships with the latest set of combat and reconnaissance helicopters to strengthen its military clout across the world. Ka-52K attack helicopters, Ka-31R radar surveillance helicopters, and Ka-226T shipborne helicopters will join the Russian Navy as part of the military modernization program that will run through 2025, the navy said Wednesday. In addition, the navy will receive a modernized version of the Ka-27PL choppers already in use. "In the period until 2025, Russian naval aviation will be equipped with the new generation ship-based helicopters and helicopters that have undergone a profound modernization," the navy said in a press release. 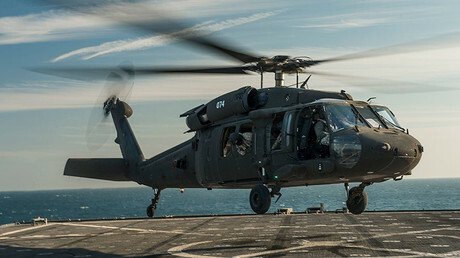 The navy hopes that alongside "newest frigates, corvettes, and patrol ships," that are designed to carry choppers, the latest arsenal will "significantly improve" the efficiency of assigned naval tasks throughout the world. The Ka-52K ship-based reconnaissance and combat helicopter is set to become the cream of the crop of the Russian naval force. The chopper, made by the Kamov rotorcraft manufacturing company, made its first flight in March 2015 before being unveiled in Russia at the International Maritime Defense Show in July of the same year. The Ka-52K is equipped with state-of-the-art laser beam guidance and video processing systems, the naval-technology news website notes. 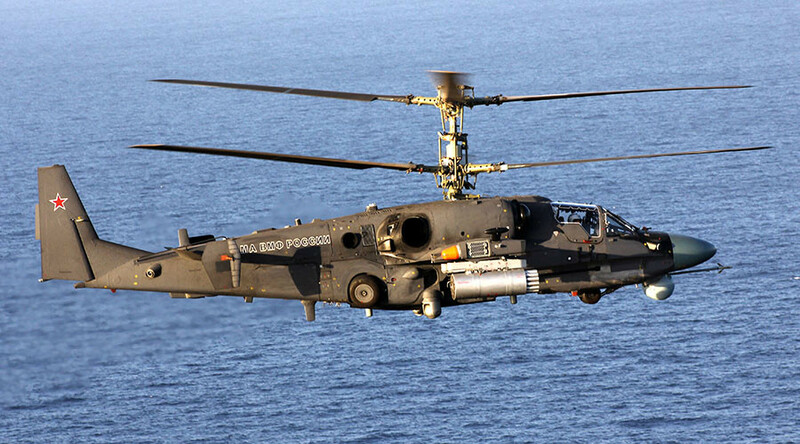 The chopper also carries a 2A42-1 30mm automatic cannon and high-fragmentation, explosive incendiary, or armor-piercing rounds. The firepower of 550 rounds a minute can destroy tanks, armored and non-armored ground targets. 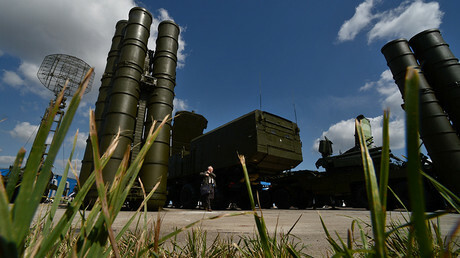 In addition, the Ka-52K can launch Kh-31 and Kh-35 air-to-surface missiles. The aircraft can reach a top speed of 300km/h and a cruising speed of 260km/h. The navy also said that it is continuing to invest in the research and development of "radically new" aircraft, drones, and aviation weapon systems. The necessity to develop and produce new weapons, the navy noted, stems from the recent success of the Russian aircraft group that has just returned from a combat mission in the Mediterranean. In October 2016, a Russian naval group, headed by the heavy aircraft-carrying missile cruiser the ‘Admiral Kuznetsov’, was sent to the Mediterranean to participate in the anti-terrorist operation in Syria. By February, the aviation wing of the naval group – consisting of Ka-27 and Ka-29 choppers in addition to SU-33, Mig-29 fighter jets – had conducted over 750 flights on a variety of missions. Of those missions, 117 were flown at night. The deployment of Russian naval aviation in Syria "allowed to fulfill the entire range of tasks in the airspace over the sea and land," the navy noted. Helicopters are "the most important element ensuring the quality and efficiency" of the performance of the "complex tasks" that the Russian Navy performs throughout the world.